"Human trafficking in the Midwest, really?" is a question I am often asked. Perhaps because people tend to associate human trafficking with crossing international borders, states like Missouri that are located right in the middle of the country might seem immune. The reality is incredibly different, as shown in a recent indictment of 12 people in Kansas City accused of operating a massive trafficking ring. According to the Kansas City Star, “A federal grand jury indicted the defendants on racketeering, marriage fraud, identity theft and other counts in a scheme that involved forced labor trafficking and immigration violations in 14 states.” Three businesses were also charged, and the scheme allegedly involved Missouri, Kansas, Alabama, Arizona, California, Colorado, Florida, Louisiana, Massachusetts, Minnesota, Nevada, New Jersey, South Carolina and Wyoming. Kansas City has been extremely active in anti-trafficking efforts since receiving a grant from the Department of Justice in 2006; the number of cases investigated and prosecuted has sky-rocketed. This operation was unusual, in that it proactively focused on addressing those who patronize victims of human trafficking, rather than on traffickers per se. 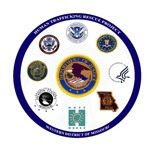 Seven defendants have been charged as a result of "Operation Guardian Angel" as the operation has been called; it is the "nation’s first-ever federal prosecution of the alleged customers of child prostitution under the Trafficking Victims Protection Act," according to Matt J. Whitworth, Acting United States Attorney for the Western District of Missouri. Late last summer, a group of traffickers pled guilty in a case where they brought women into the Kansas City area from China for forced prostitution. According to an article in the Kansas City Business Journal, John Wood, U.S. attorney for the Western District of Missouri, stated: “Chinese women were recruited to travel to Kansas City, then coerced to work as prostitutes at massage parlors. These businesses have been shut down and the owners brought to justice. We have also provided social services to assist their victims.” Two years ago, a year after receiving the Justice Department grant, officials in Kansas City conducted a similar raid on “massage parlors” that were fronts for forced prostitution. While this might appear to be a disturbing trend, it is actually quite heartening; eventually I hope that the cases will go down, but for now it means that victims are actually being found unlike in the past, not that there has been a sudden influx of victims. Ideally, similar efforts to train law-enforcement and social-service professionals in Missouri and surrounding states will lead to similar increase in identifying trafficking victims, providing services to survivors, and punishing perpetrators.